Quick delivery in 2-4 business days, rush overnight available. # Participants # cards sold each = $- profit! 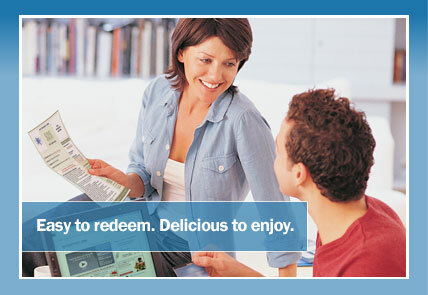 Cardholders choose from more than 18,000 restaurants! 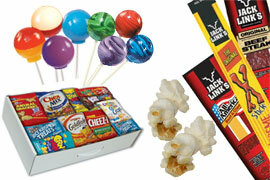 Sell each gift card for $20.00 each. 50% profit! 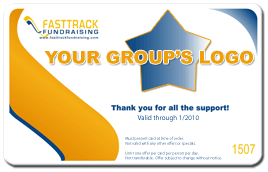 Customers go online to http://fundraising.restaurant.com and redeem each $20 card for $50 worth of certificates that are available from over 14,000 restaurants nationwide. This fundraising program is so simple! The cards have no expiration dates for you to worry about so there's no pressure for you or your customer. Thousands more available and new restaurants added daily! 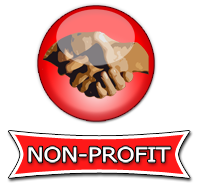 With 50% profit and free shipping you should strongly consider this fundraiser! Supporters will love saving 60% on every meal. Start your Restaurant.com Gift Card Fundraiser today! P.S. 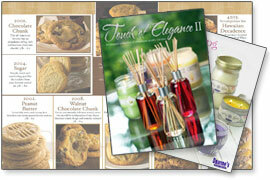 Order now to receive your fundraising cards in 2-4 days! We provide FREE SHIPPING nationwide! 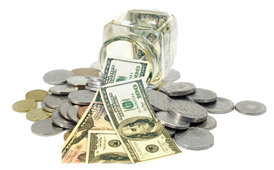 You can pay upfront using a credit card, e-check, or by mailing in a check. 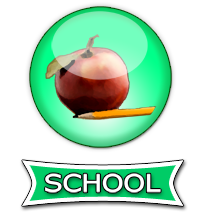 If you are a public school we can accept your public school purchase order and give you 30 days to pay. You will be able to choose your payment option choice when you are placing your order online. How do the supporters use the restaurant.com cards? 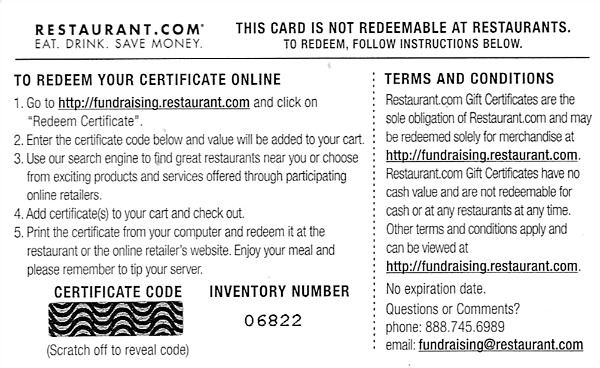 To use the card, your supporters will go to fundraising.restaurant.com. They will enter the code on the back of the card into the website and enter their zip code to see what dining certificate options are available in their area. The dining certificate options will range from $15.00 to $50.00 and it can be used all at one location or can be split up to be used at multiple restaurants. They would print out the dining certificate that they chose and present it when they go to the restaurant. *Please note that only one dining certificate can be used per visit and there might be a minimum purchase requirement. 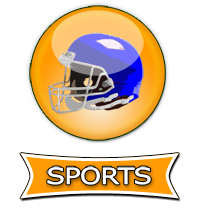 Any stipulations will be listed before your supporters choose the dining certificate. The cards will not be customized. How many times can the card be used? 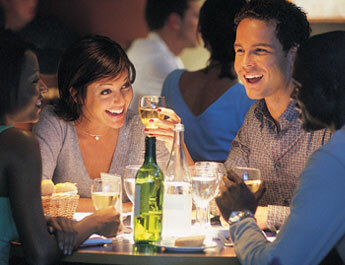 The cards are valid for up to $50.00 for restaurant.com dining certificates. How much do the restaurant.com gift cards cost? Each card costs $10.00 and is sold to supporters for $20.00. 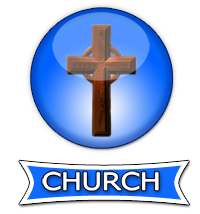 Your profit will be $10.00 per card. The restaurant gift card fundraiser is great for the tough economic times we are all facing right now. You've probably found that most of your fundraising customers are cutting back on their discretionary spending budget and not purchasing as much from you as before. That is to be expected in tough financial times. But the restaurant gift card fundraiser taps into a different part of their household budget, the dining/entertainment budget. No matter what - we all still eat out occasionally. 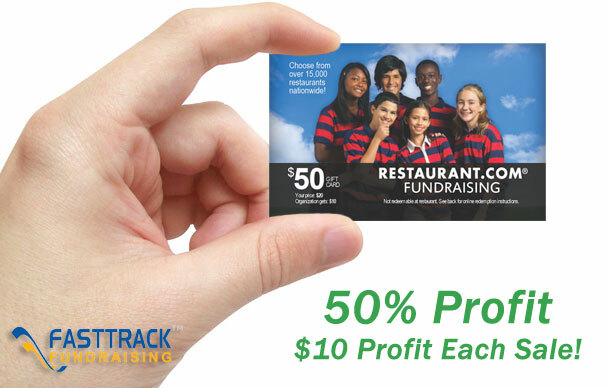 It never hurts to remind your customers that not only are they helping your group and its cause out but they are also saving 60% off their meals out that they would be normally buying at full price if it wasn't for you and your restaurant gift card fundraiser.